شبکه‌های حسگر بی‌سیم بدنی، مجموعه‌ای از حسگرهای حیاتی برای مشاهدة وضعیت سلامت بیماران از راه دور هستند. تشخیص و تمایز وضعیت‌های غیرعادی، شامل خطای حسگرها یا وضعیت‌های اضطراری، علاوه‌بر رفع نیاز دائمی به متخصص، می‌تواند باعث کاهش نرخ هشدارهای نادرست شود. 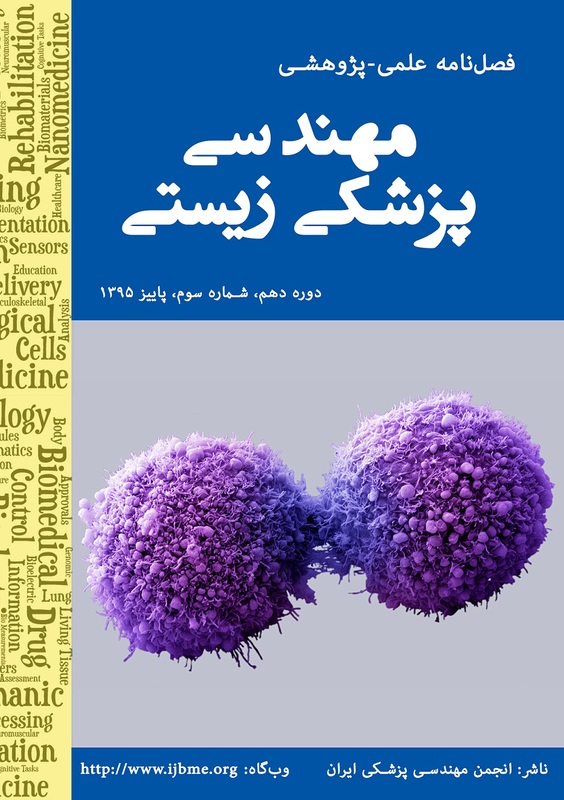 در این پژوهش، برای تشخیص و تمایز وضعیت‌های غیرعادی، روشی تک‌متغیره، بدون سرپرست و بی‌درنگ با قابلیت پیاده‌سازی سخت‌افزاری آسان، ارائه شده و همچنین روشی جدید برای تصحیح خطاهای گذرا پیشنهاد شده است. روش‌ پیشنهادی، سریع‌تر از روش‌های موجود در پژوهش‌های پیشین عمل می‌کند و دقت آن به‌طور کامل قابل‌مقایسه با روش‌های موجود است. شبیه‌سازی روش پیشنهادی روی مجموعه ‌داده‌های اینترنتی انجام شده است و نتایج حاصل از آن با روش‌های موجود، مقایسه شده‌اند. همچنین برای ارزیابی و اعتبارسنجی نهایی روش پیشنهادی، از داده‌های ثبت‌شده در یک آزمایش واقعی استفاده شده است، که نتایج آن بر عملکرد مناسب روش پیشنهادی در تشخیص وضعیت‌های غیرعادی و تصحیح خطاهای گذرا تأکید می‌کند. Wireless Body Area Networks (WBAN) consist of a collection of biosensors utilized to remotely monitor the health status of patients. High accuracy anomaly detection and distinguishing between faults and physiological anomalies play a key role in proper detection of real emergency situations and is cruicial in lowering False Alarm Rate (FAR) cases. In this work, a univariate, unsupervised and real-time anomaly detection algorithm is proposed based on Hampel identifier and its performance is compared with previous and reported methods. Furthermore, a novel prediction method is introduced and utilized in order to correct for transient faults that are quite probable in WBANs, due to inherent noise and artifact of physiological sensors. Proposed method is shown to be faster than reported approaches while providing comparable. Final validation of the proposed method is performed by a real experimental dataset along with intentionally added faults and physiological anomalies. The results illustrate appropriate anomaly detection ability of the proposed approach. X. Lai, Q. Liu, X. Wei, W. Wang, G. Zhou, and G. Han, "A Survey of Body Sensor Networks," Sensors (Basel, Switzerland), vol. 13, pp. 5406-5447, 2013. A. Nadeem, M. A. Hussain, O. Owais, A. Salam, S. Iqbal, and K. Ahsan, "Application specific study, analysis and classification of body area wireless sensor network applications," Computer Networks, vol. 83, pp. 363-380, 2015. K. S. Kwak, S. Ullah, and N. Ullah, "An overview of IEEE 802.15.6 standard," in 2010 3rd International Symposium on Applied Sciences in Biomedical and Communication Technologies (ISABEL 2010), 2010, pp. 1-6. A. Naseem, O. Salem, L. Yaning, and A. Mehaoua, "Reliable vital sign collection in medical Wireless Sensor Networks," in e-Health Networking, Applications & Services (Healthcom), 2013 IEEE 15th International Conference on, 2013, pp. 289-293. A. Mahapatro and P. M. Khilar, "Fault Diagnosis in Body Sensor Networks," International Journal of Computer Information Systems and Industrial Management Applications (IJCISIM), vol. 5, pp. 252-259, 2013. O. Salem, L. Yaning, and A. Mehaoua, "A lightweight anomaly detection framework for medical wireless sensor networks," in Wireless Communications and Networking Conference (WCNC), 2013 IEEE, 2013, pp. 4358-4363. O. Salem, Y. Liu, and A. Mehaoua, "Anomaly Detection in Medical Wireless Sensor Networks," Journal of Computing Science and Engineering, vol. 7, pp. 272-284, 2013. H.-P. Kriegel, P. Kröger, and A. Zimek, "Outlier detection techniques," in Tutorial at the 16th ACM international conference on knowledge discovery and data Mining (SIGKDD), Washington, DC, 2010. S. Seo, "A review and comparison of methods for detecting outliers in univariate data sets," University of Pittsburgh, 2006. Y. Benjamini, "Opening the Box of a Boxplot," The American Statistician, vol. 42, pp. 257-262, 1988. R. B. Dean and W. Dixon, "Simplified statistics for small numbers of observations," Analytical Chemistry, vol. 23, pp. 636-638, 1951. F. E. Grubbs, "Sample criteria for testing outlying observations," The Annals of Mathematical Statistics, pp. 27-58, 1950. F. R. Hampel, "A general qualitative definition of robustness," The Annals of Mathematical Statistics, pp. 1887-1896, 1971. K. Chromiński and M. Tkacz, "Comparison of outlier detection methods in biomedical data," Journal of Medical Informatics & Technologies, vol. 16, pp. 89-94, 2010. M. M. Breunig, H.-P. Kriegel, R. T. Ng, #246, and r. Sander, "LOF: identifying density-based local outliers," SIGMOD Rec., vol. 29, pp. 93-104, 2000. S. Theodoridis and K. Koutroumbas, Pattern Recognition (Fourth Edition). Boston, Academic Press, 2009. D.-J. Kim and B. Prabhakaran, "Motion fault detection and isolation in Body Sensor Networks," Pervasive and Mobile Computing, vol. 7, pp. 727-745, 2011. O. Salem, L. Yaning, and A. Mehaoua, "Detection and isolation of faulty measurements in medical Wireless Sensor Networks," in Future Information and Communication Technologies for Ubiquitous HealthCare (Ubi-HealthTech), 2013 First International Symposium on, 2013, pp. 1-5. O. Salem, A. Guerassimov, A. Mehaoua, A. Marcus, and B. Furht, "Anomaly Detection in Medical Wireless Sensor Networks using SVM and Linear Regression Models," International Journal on E-health and Medical Communications (IJEHMC), vol. 5, pp. 20-45, 2014. S. A. Haque, M. Rahman, and S. M. Aziz, "Sensor Anomaly Detection in Wireless Sensor Networks for Healthcare," Sensors, vol. 15, pp. 8764-8786, 2015. Y. Yang, Q. Liu, Z. Gao, X. Qiu, and L. Meng, "Data Fault Detection in Medical Sensor Networks," Sensors, vol. 15, pp. 6066-6090, 2015. H. Zhang, J. Liu, and R. Li, "Fault Detection for Medical Body Sensor Networks Under Bayesian Network Model," in 2015 11th International Conference on Mobile Ad-hoc and Sensor Networks (MSN), 2015, pp. 37-42. H. Liu, S. Shah, and W. Jiang, "On-line outlier detection and data cleaning," Computers & chemical engineering, vol. 28, pp. 1635-1647, 2004.